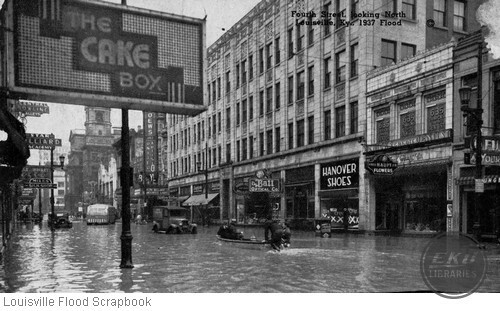 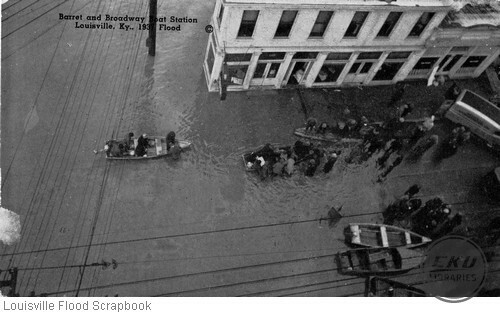 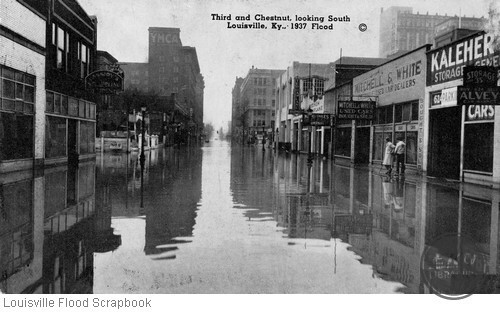 This collection consists of scrapbook with news clippings from the Louisville area during and after the 1937 flood of the Ohio River Valley. 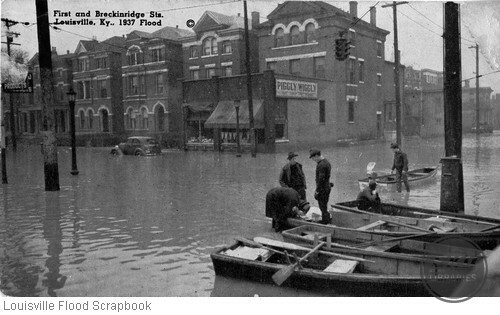 The clippings include many photographs of water levels, police enforcing the quarantine, and damage to property. 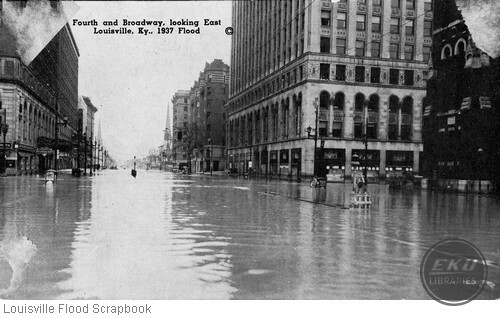 Also included are five postcards showing water levels on various street corners.